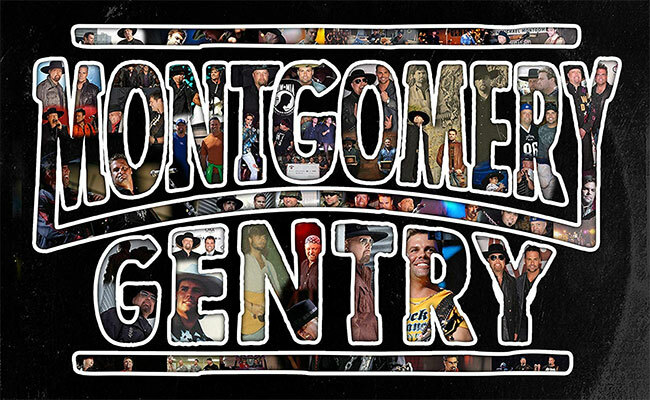 Montgomery Gentry is celebrating 20 years with a fresh versions of their extensive catalog with the release of Montgomery Gentry: 20 Years of Hits on November 16th via Average Joes Entertainment. The album compiles 12 of the duo’s biggest hits with some of their friends for reworked versions that are just as timeless as their original counterparts. Recorded before Troy Gentry’s untimely and shocking death last September, the album features four No. 1 Billboard country chart-topping hits, and numerous Top 10 hits spanning their first two decades. Jimmie Allen, Rodney Atkins, Colt Ford, Logan Mize, Brad Paisley, Darius Rucker and Granger Smith all make guest appearances that make the project even more special. The energy is a little more laid back, and the instrumentation is a bit different than the original versions, but that’s what makes each recording fresh. Only seven of the songs feature a special guest vocalist. “Better Me” from the duo’s last album of all new material, Here’s To You, released earlier this year, is also included in this collection. The offering kicks off with Paisley guesting on “Back When I Knew It All” as the trio trades vocals. Paisley, Gentry and Eddie Montgomery’s chops blend nicely on the mid tempo tune, and Paisley’s guitar work is very distinguishable and classy during the solo. Darius Rucker is featured on the album’s lead off single, “Lucky Man,” a nice ode to accepting life no matter how little one may have. Asking Rucker to join them on the tune was a good choice as I could see him covering the song solo and making it a hit. The song was No. 1 in 2006 and could reappear as such if radio spins it enough. “Gone” closes out the album, and could be a cordial nod to Gentry. Either way, Gentry’s voice is as passionate as it’s ever been and Montgomery’s rough baritone compliments it well throughout the entire album. It’s a “must have” for any country lover this holiday season. Reworking these songs is a pleasurable homage to their past. Listening to the album is nice reminder of the gift we’ve been given with Gentry’s voice, even a year after his passing. His legacy will always live on, so cheers to more songs that are sitting in the MG vault waiting to be included on future releases.